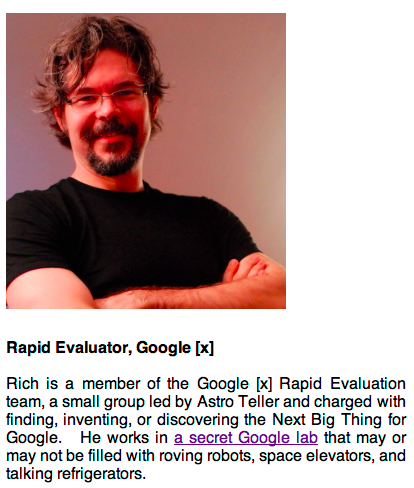 Google will set up a YouTube channel tomorrow officially revealing a “Solve for [x]” conference, according to the Google+ page of one of Google [x] chief scientists Richard DeVaul (from his bio page, right). 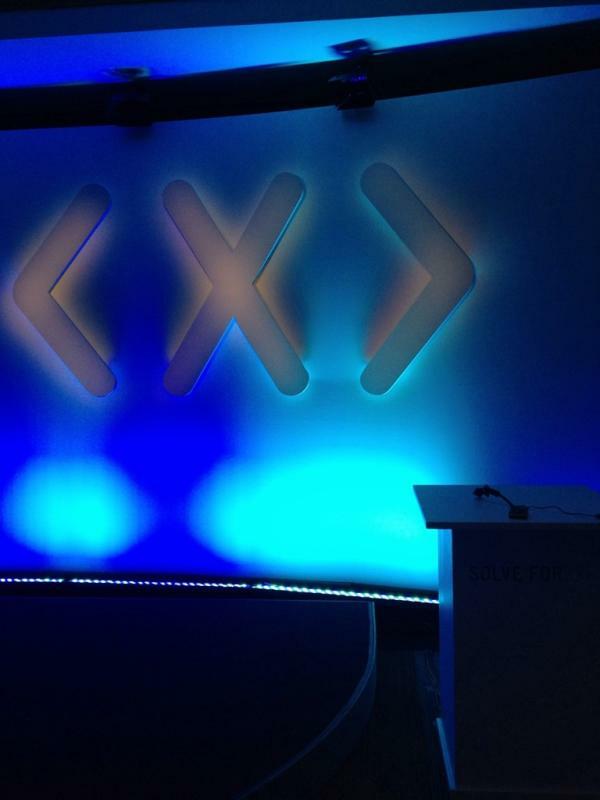 At first glance, it appears that the “Solve for [x]” private conference is part of the Google [x] secret labs. 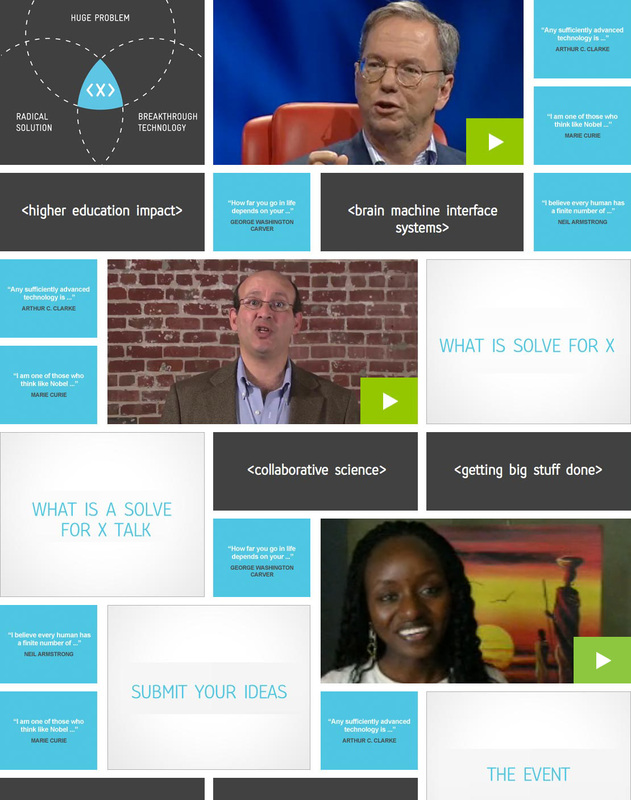 Solve for X is a place where the curious can go to hear and discuss radical technology ideas for solving global problems. Radical in the sense that the solutions could help billions of people. Radical in the sense that the audaciousness of the proposals makes them sound like science fiction. And radical in the sense that there is some real technology breakthrough on the horizon to give us all hope that these ideas could really be brought to life. This combination of things – a huge problem to solve, a radical solution for solving it, and the breakthrough technology to make it happen – is the essence of a moonshot. We can’t wait to share what we discover. We heard the Google [x] secret project is tied to heads up display glasses and camera, among other things.